Do You Use What You Sell? Do you "Run your business" on the software you are trying to sell me? Yes, we do use what we sell. 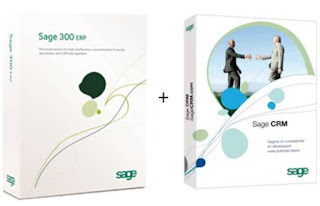 Careware runs our business on Sage 300 and also Sage CRM. This software usage is intended to help build our skills with Sage business software as we run our day to day operation on it. It also enabling us to more effectively serves our customers. We have being using it since our inceptions from Accpac Plus to Sage 300 and recently upgraded our contact manager to Sage CRM. We are excited to announce that Careware is now fully up and running on Sage CRM! Sage CRM is an easy-to-use tool to access vital client information—anytime, anywhere. Request support by phone or email. You may continue to request support by calling the office or, if you prefer, email us at support.crm@careware.com.my. Either way, a “case” will be logged, assigned to a consultant and tracked until it is resolved. Sage CRM will improve our response time on support issues. When a case is logged, the entire support team receives notification. This will insure that urgent cases are handled by the first available consultant. All consultants can stay current on the progress of resolving all open cases. Email your request to support.crm@careware.com.my or call 03-27143855. You will receive a reply to your email/phone call including a case number. Please refer to this case number in all subsequent communication.